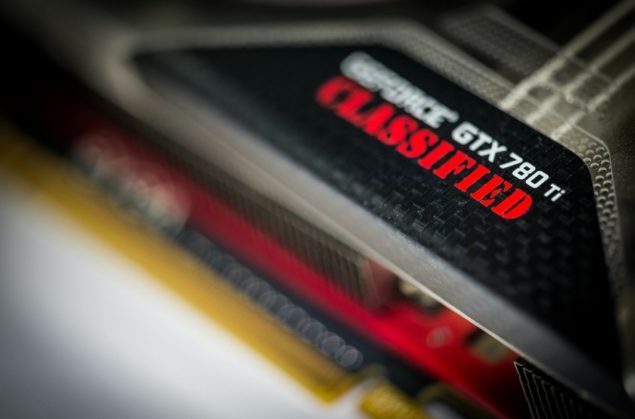 EVGA has posted a new teaser of their upcoming GeForce GTX 780 Ti Classified K|NGP|N edition graphic card which shows just how awesome their card is featuring absolute power and performance. EVGA GeForce GTX 780 Ti Classified K|NGP|N With 8+8+6 Pin Power Configuration – All The Power You Will Ever Need! The new EVGA GeForce graphic card which is being prepared in collaboration with K|NGP|N (EVGA’s in-house overclocker) is an attempt to prepare a flagship non-reference design based on the GTX 780 Ti GPU which is NVIDIA’s top dog of the GeForce 700 series. The GK110-425-B1 core fused inside the GeForce GTX 780 Ti is currently the fastest chip on the planet with a 2880 Cuda core count and impressive clock speeds which are further going to be boosted with the arrival of non-reference variants such as the Classified. So what we know so far about this card? The EVGA GeForce GTX 780 Ti Classified Kingpin edition as we know it features an absolutely stunning shroud design from what we have seen in the teaser shots. 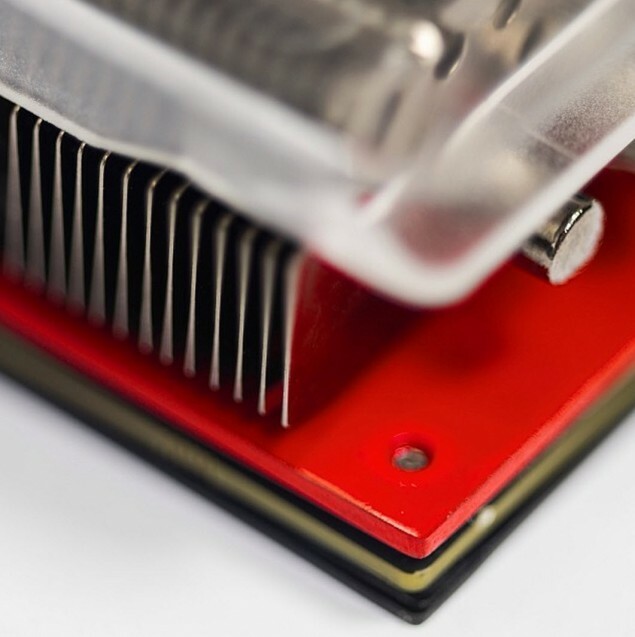 The whole shroud is translucent which means it has a transparent surface so you can see the heatsink below it. The shroud is covered with patches of carbon fiber where the logo’s are engraved and we can see the ACX logo at the back of the cooler which stands for Active Cooling Xtreme. But let’s see what’s under the hood, we are looking at a extremely powerful VRM design which we don’t have any information on at the moment but it is powered with an 8+8+6 Pin power configuration. So that’s some massive amount of power being fed to the board. Aside from that, we are also looking for the very first time on an NVIDIA GeForce 700 series card the EVBOT connector. 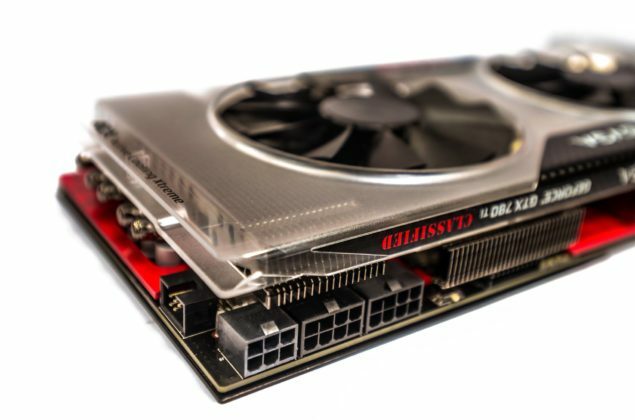 You might remember looking at EVGA’s GTX 680 Classified which featured the same EvBot connector but was restricted on custom 700 series boards. That’s not the case anymore and EVGA has once again allowed overclockers and enthusiasts to overclock and tune their cards as they seem fit.